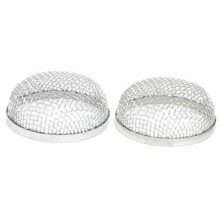 Suspend all of your decorations on these Camco Party Light Holders. 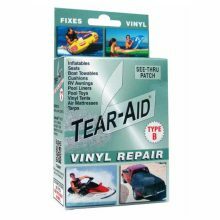 They come with grommets that easily slide onto your RV’s roller bar. 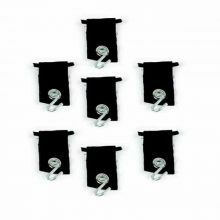 This 7-pack of fabric awning hooks is suitable for holding wind chimes, bells and much more. Wasps, mud daubers, birds and rodents pose a serious threat to the furnace or tankless water heater on your RV. They can enter through the furnace or water heater vents and cause serious damage by building nests that interfere with air flow. 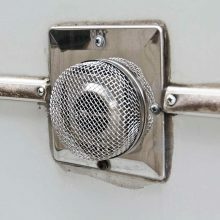 Camco 42144 (Model FUR 500) Flying Insect RV Furnace Screen fits Atwood Hydroflame furnaces that do not have access door, and the exhaust vent of Girard tankless water heaters. As Camco offers several furnace and water heater screens, consult size and photos to confirm this screen will fit your furnace or water heater vent. This easy-to-install screen will help ensure that your furnace or water heater vent stays free from costly invasion by unwanted pests. Wasps, mud daubers, birds and rodents pose a serious threat to the furnace on your RV. They can enter through the furnace vents and cause serious damage by building nests that interfere with air flow. Camco 42141 (Model FUR 200) Flying Insect RV Furnace Screen fits Duo-therm and Suburban furnace vents. As Camco offers several furnace screens, consult size and photos to confirm this screen will fit your furnace vent. 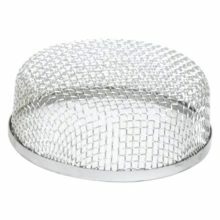 This easy-to-install screen will help ensure that your furnace vent stays free from costly invasion by unwanted pests. 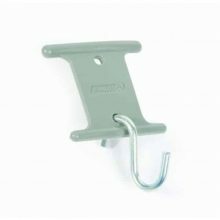 Camco RV Gray Party Light Holders hang party lights, signs, plants and more from your awning roller bar. 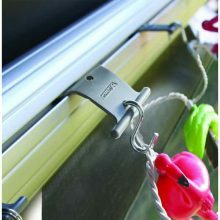 The RV party light holders slide easily into roller bar channel, and each hanger can support up to 15 lbs. 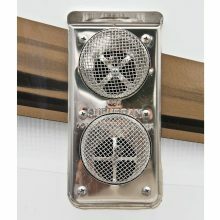 Each holder has two sizes of channel insets; fits all automatic roll out awning roller bar channels. Patented. 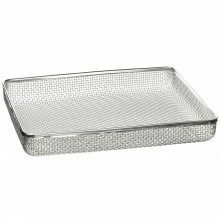 Fits all RVs and comes in a pack of 7. 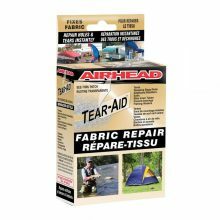 Keeps you cool and comfortable! 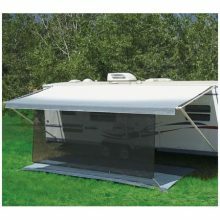 Shade the area under your awning with this black mesh 6’15” sunblocker. 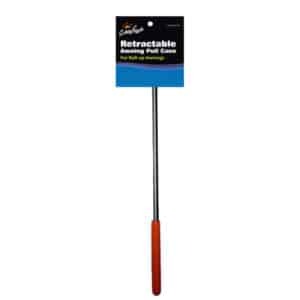 Use caution when using with any awning that has an automatic retract function. See Awning Owners Manual for specific details.